Happy New year Everyone! I hope you all had a great Christmas and New Years. Even though the holidays flew by for us being such a busy time, I still loved every minute of it! Christmas is my favourite time of year. My kids are at a perfect age right now, they still believe in Santa, and they get so excited for Christmas. Seeing their faces on Christmas morning with all the presents under the tree is such a great memory. The first thing they wanted to do on Christmas morning was open their gift from Santa. A few years ago, I picked up these cute red Santa Sacks from Pottery Barn Kids, and had their names embroidered on them. They love seeing a sack for each of them under the tree on Christmas morning with a special gift from Santa inside. 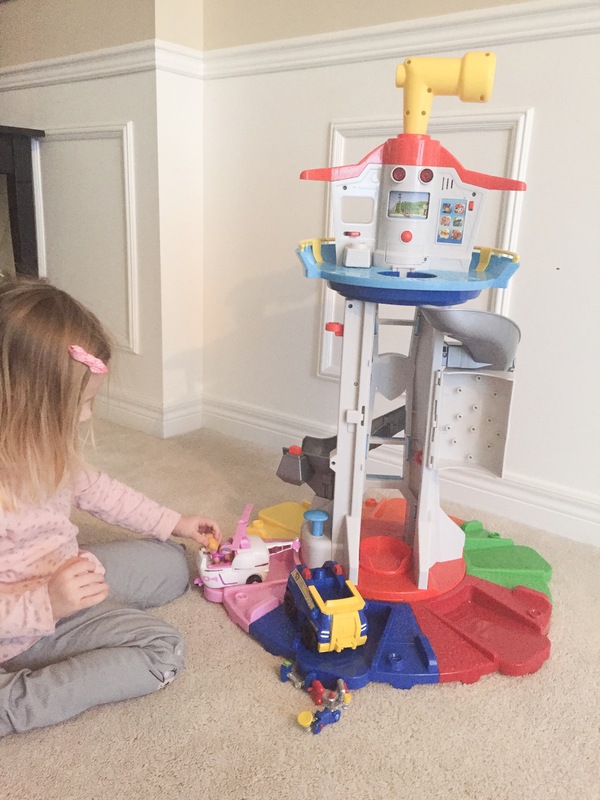 My son was so excited to get the Air Hogs Micro Race Drone & my daughter was ecstatic when she got the PAW Patrol My Size Lookout Tower from Santa. 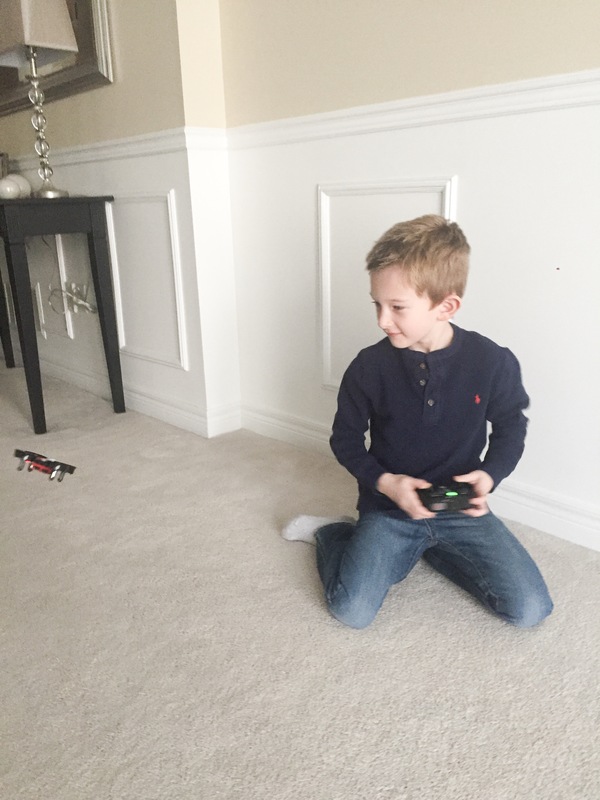 Not only does my son love anything remote control, he is also really into Drones now. 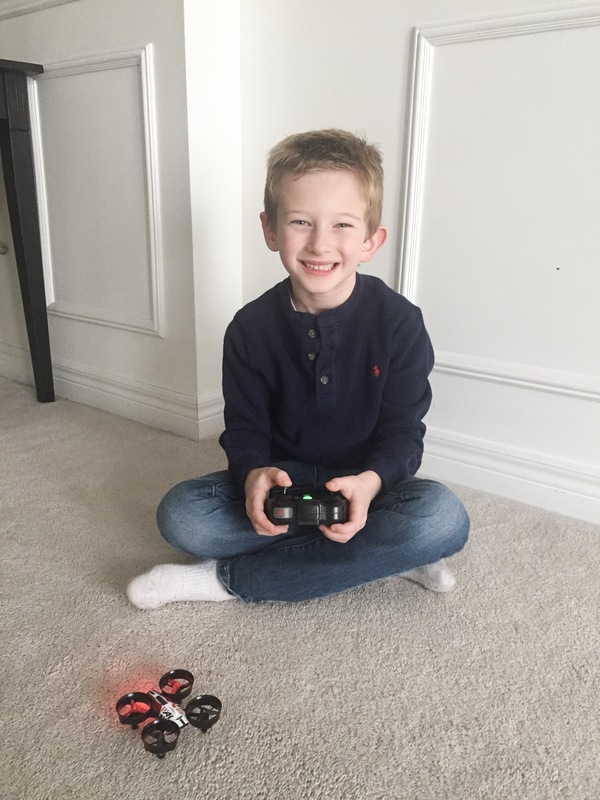 Being that this Air Hog Micro Race Drone is his first drone, I love that this one is an indoor one to start. 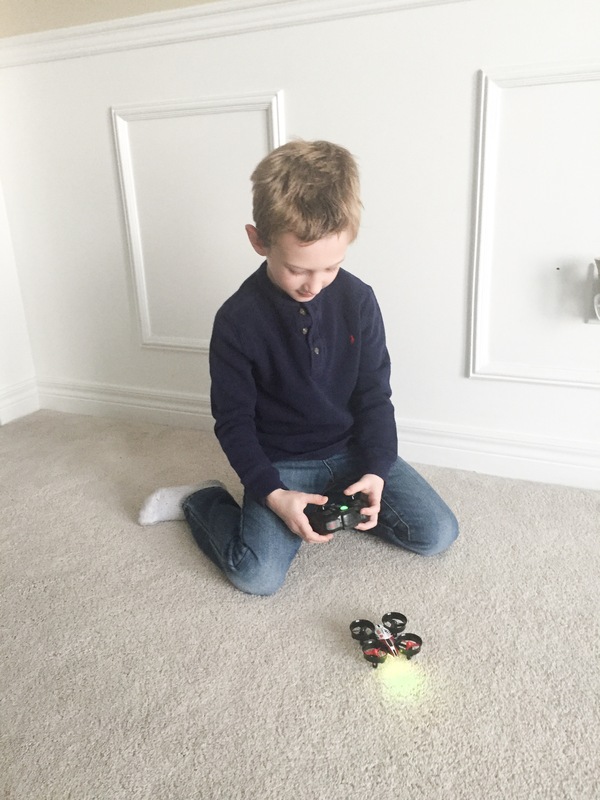 It’s perfect for him to practice, and to learn how to use one, so in the summer we can get him another one that’s more advanced for outside. We have it on the beginner setting right now, and we can switch it to advanced mode once he gets the hang of using it. 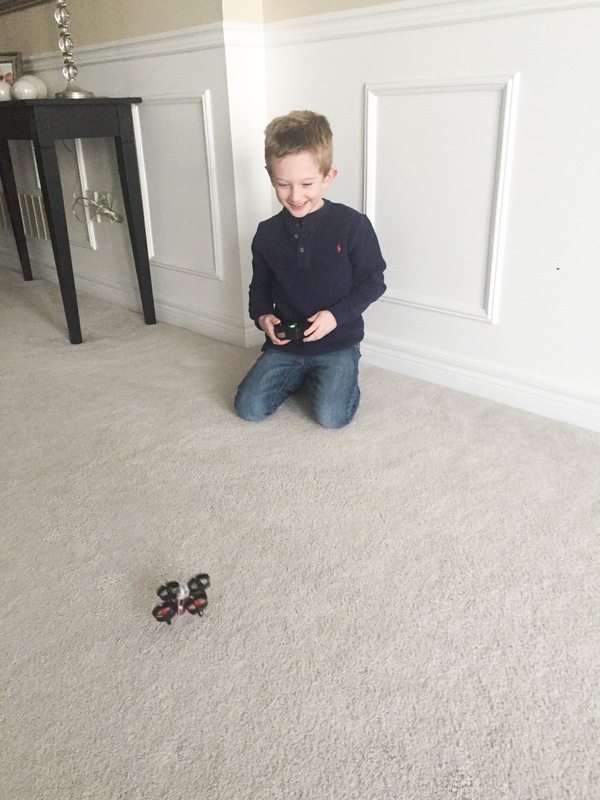 The drone is super light weight, and has a crash-resistant frame. 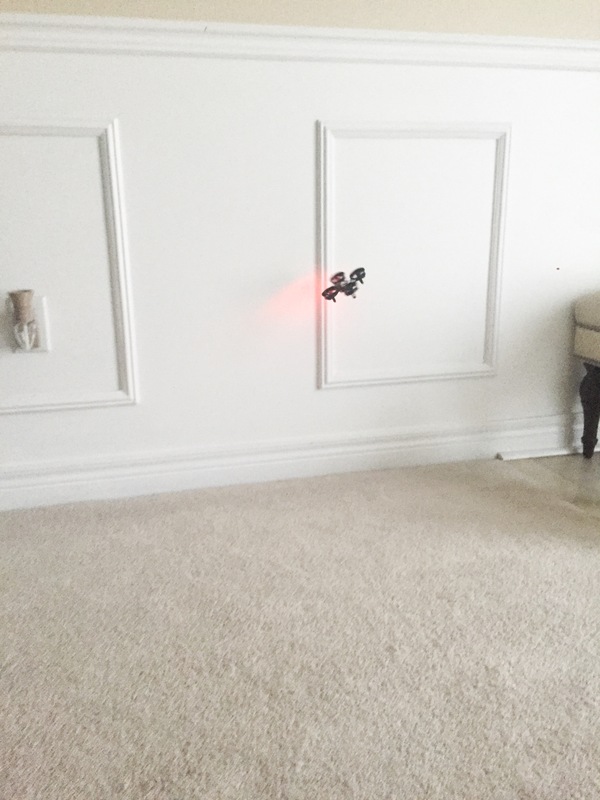 I was worried about him flying something around the house and ruining the walls and furniture, but it’s so light and has no sharp edges, so it’s been fine. 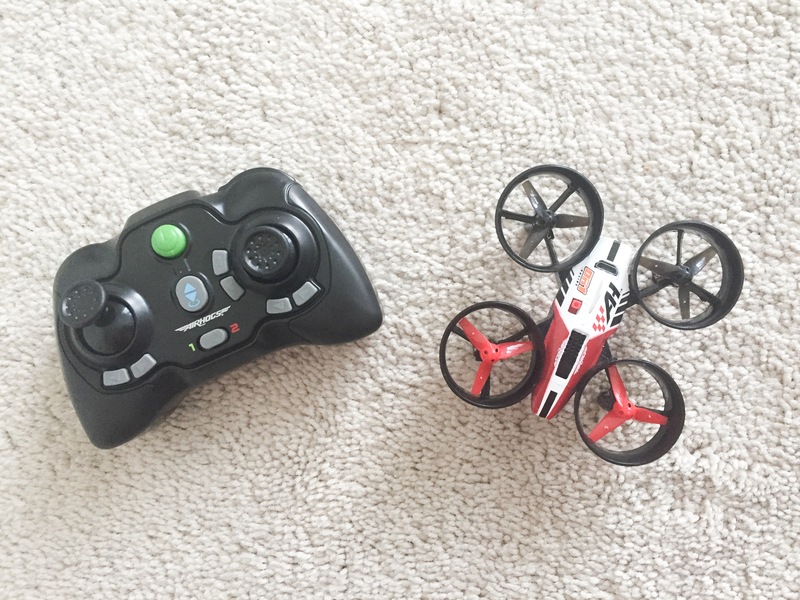 The drone has a range of 250 feet, and also has cool features such as auto-takeoff and landing, and height lock. I can’t believe how fast it goes as well! 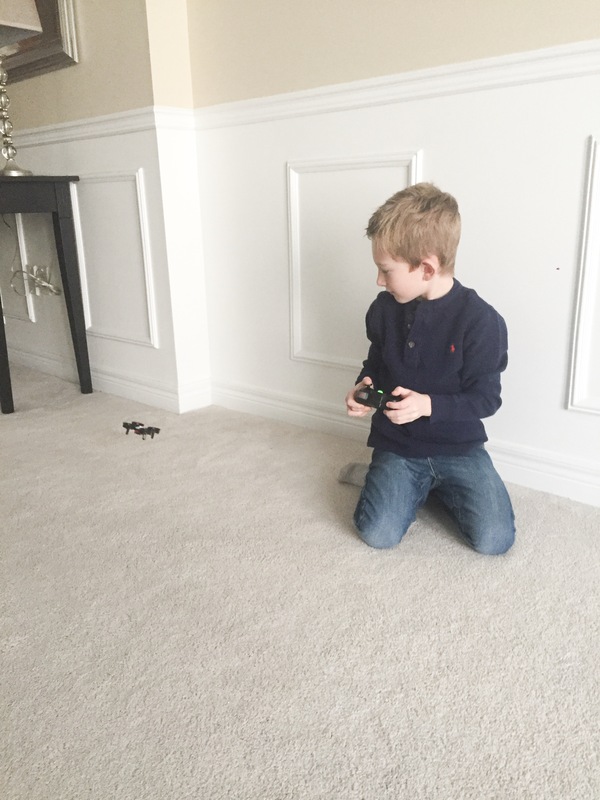 Once he is done playing with his Drone, he charges it in his room with a USB cord which was provided in the box. 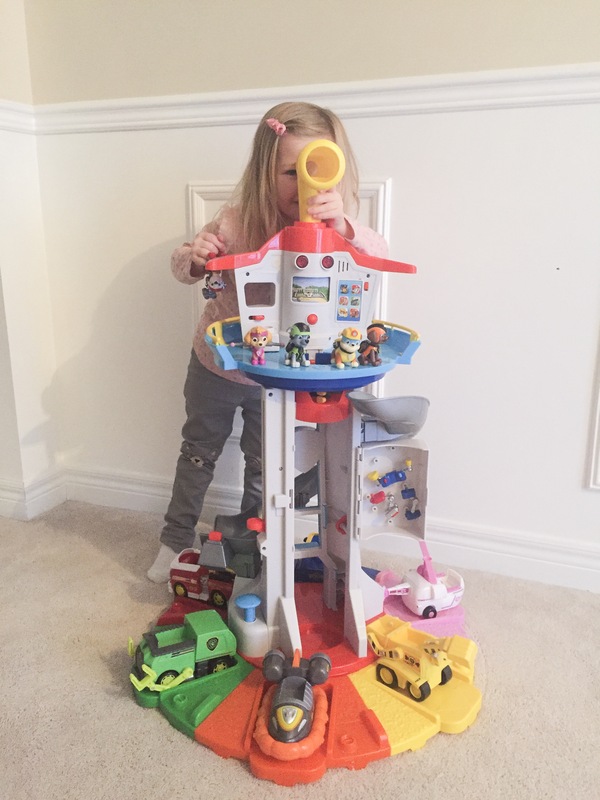 Saying my daughter loves PAW Patrol is an understatement. She is obsessed! 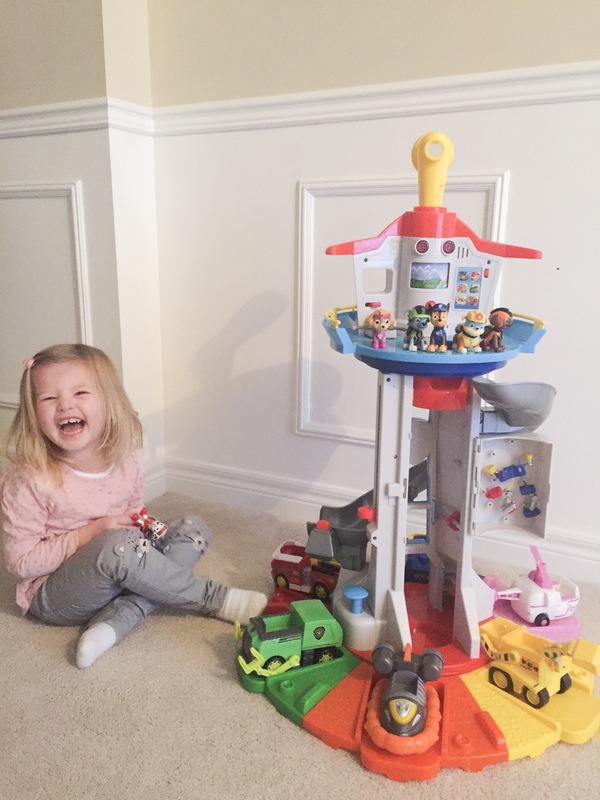 When she saw she got the PAW Patrol My Size Lookout Tower, she was beyond excited. 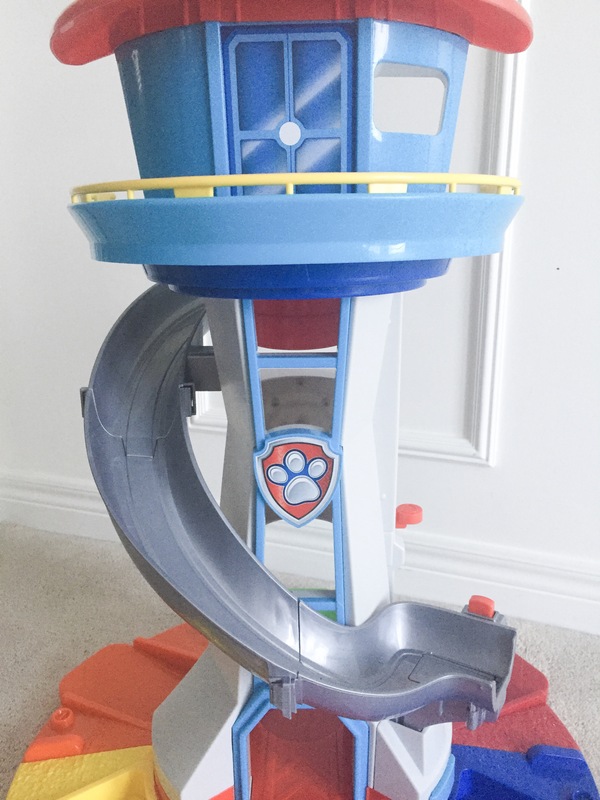 This toy is 2 1/2 feet tall, and has a TON of cool features! 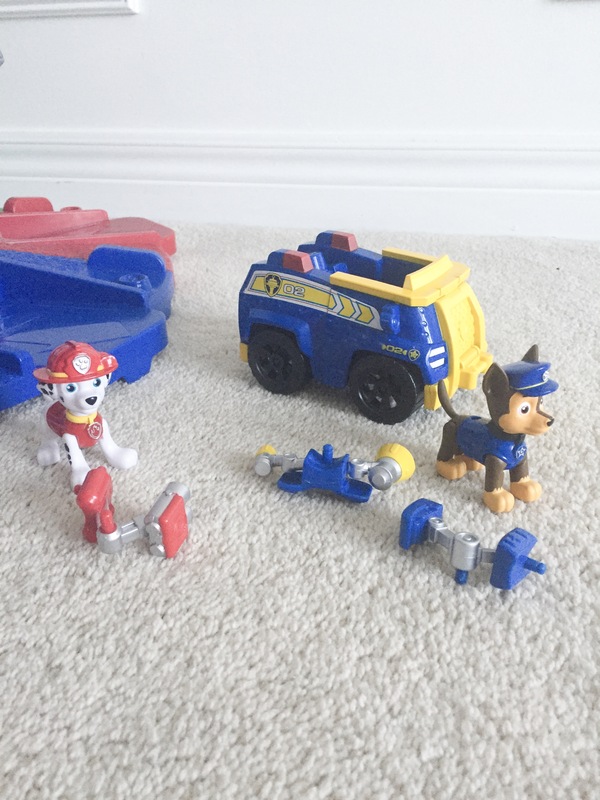 Now we have the complete set of Paw Patrol characters and their vehicles already, but just to let you know, the tower only comes with Chase and his truck, and Marshall. 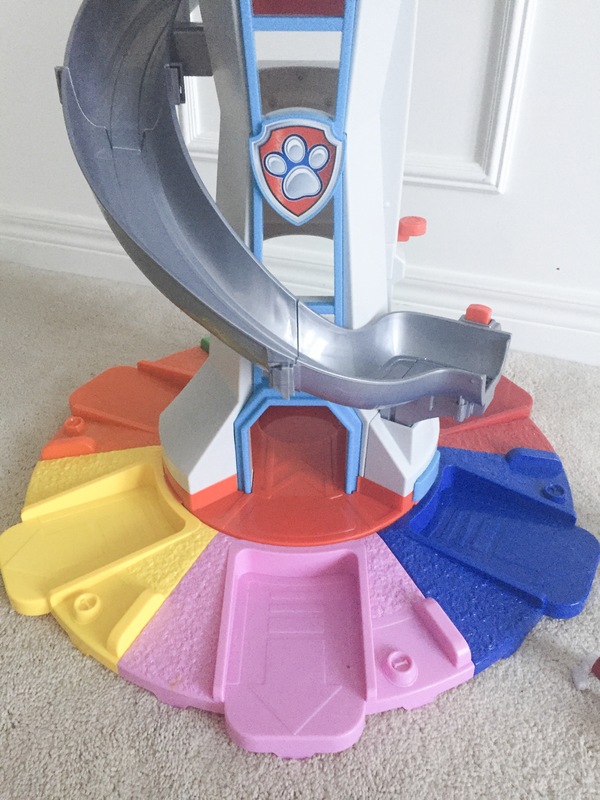 Now the bottom part of this toy turns so that you can put different vehicles in front of the slide, so the Paw Patrol characters can slide down it into their vehicles. 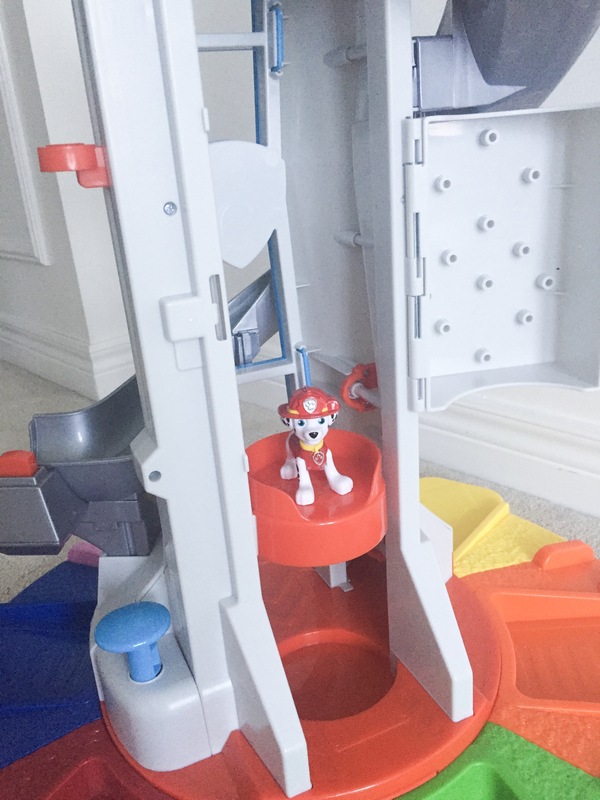 There is also an elevator inside so the characters can ride up it before going down the slide. 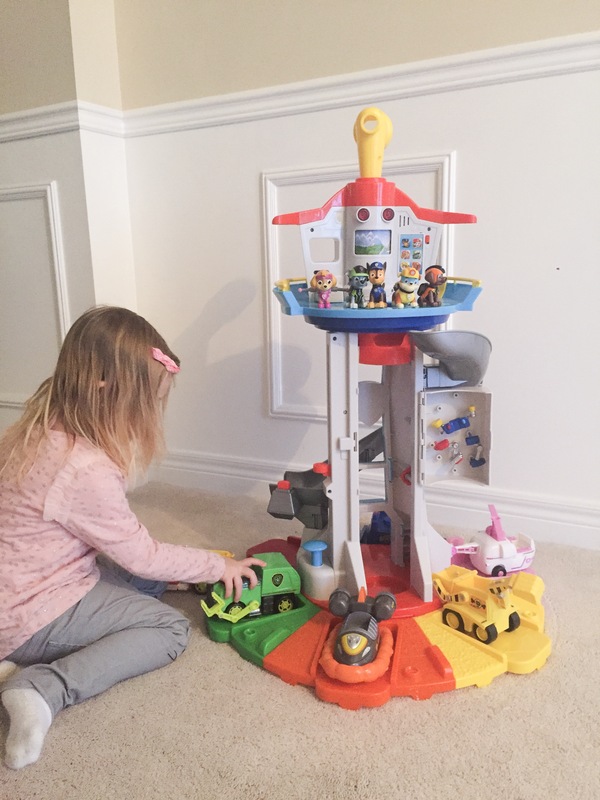 Then you can actually eject them from the docking station once they are in their vehicles which my daughter loves to do. Another fun feature is the periscope at the top. 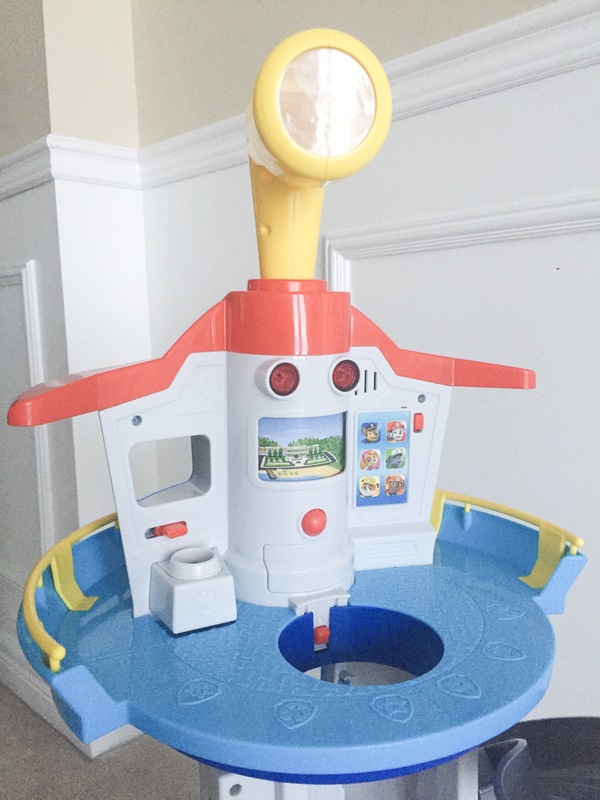 It rotates, and when you spot something, you can press the buttons on the tower to activate the lights and all the sounds from the show. I think my daughter’s favourite thing to do is push the icon on the interactive pup pad, so she can hear each pup weigh in with their signature phrase from the show. She even says the words along with them! 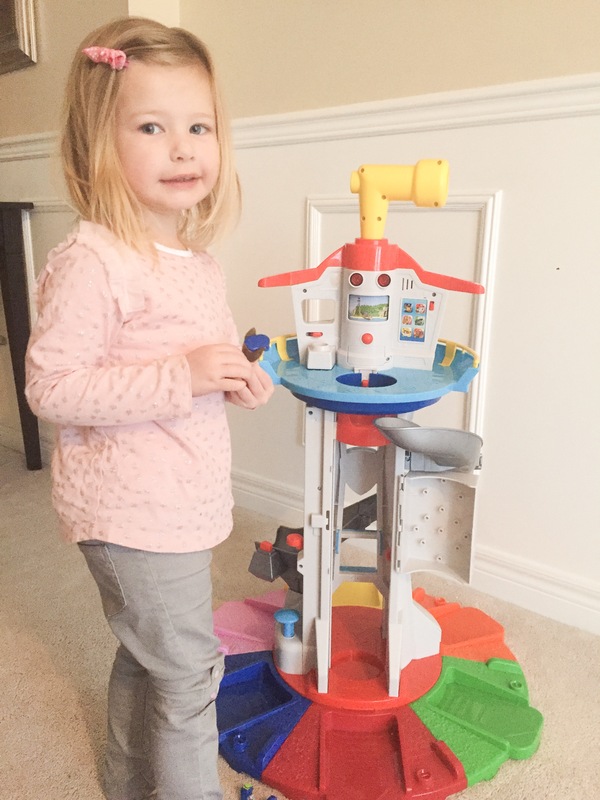 This toy is so fun, my daughter can play with it for hours! 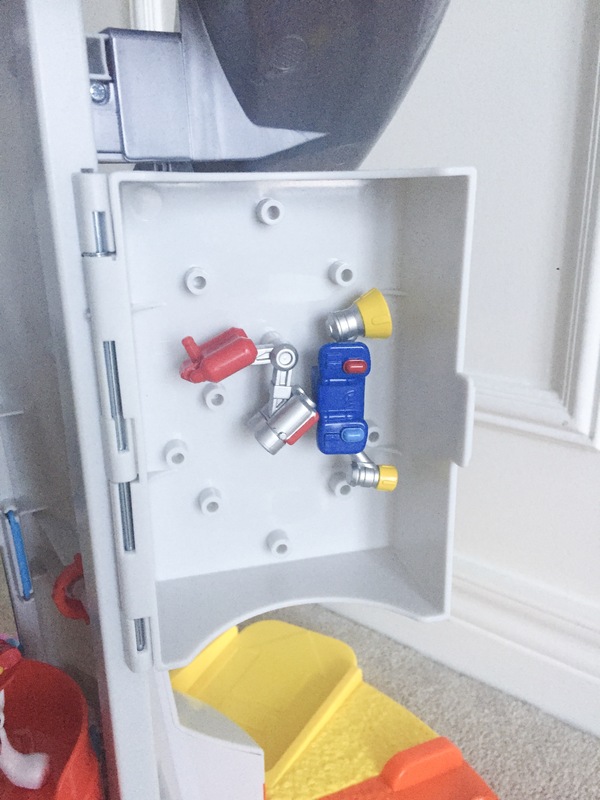 Assembly was very easy too, and it came with batteries! Not only were these toys such a great Christmas gift, but they would also be perfect as a birthday gift too. 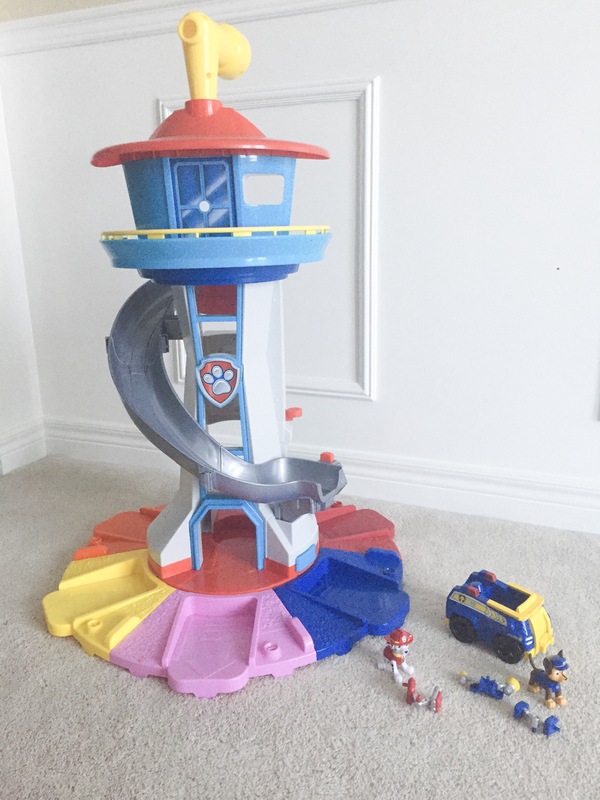 My nephew is turning 3 in February, so I think I am going to get him the PAW Patrol My Size Lookout Tower for his birthday. 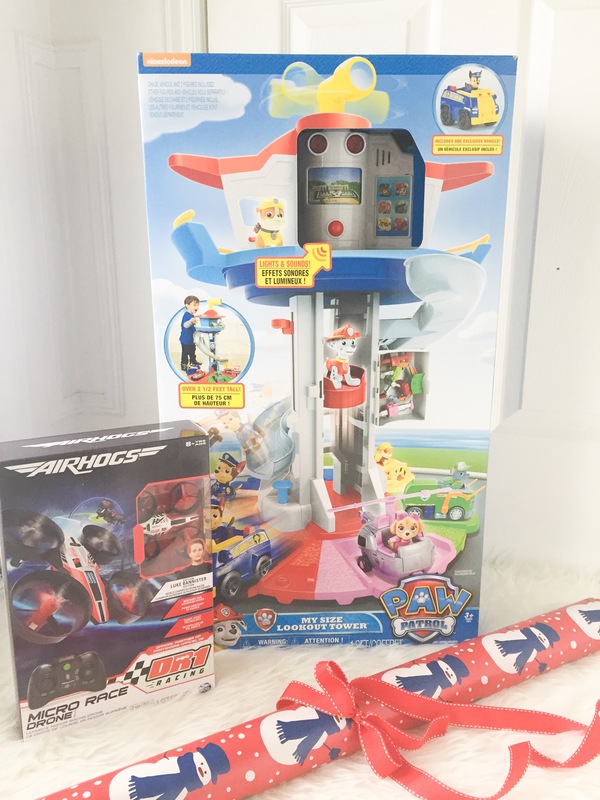 He loves PAW Patrol as well so, he is going to love it! 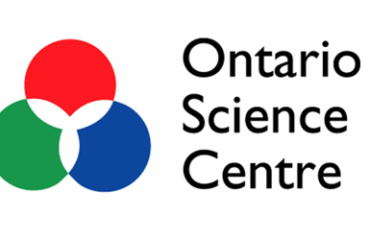 Visit the Spin Master website here for more information. 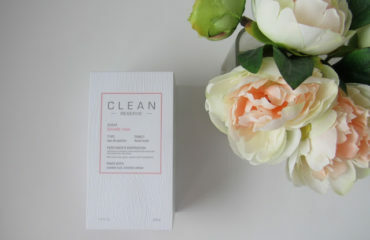 Disclaimer: Items in this post have been provided to me for review. All thoughts, and opinions are my own.